Four people have been sentenced for their part in a commercial burglary and dog theft from a Middle Rasen property in 2015. 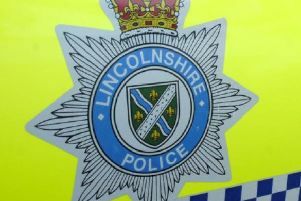 The group were all handed suspended sentences yesterday (Wednesday) at Lincoln Crown Court, following lengthy investigations which lead to the prosecution of two men and two women for their part in the burglary. Two of the offenders admitted that between September 23-24, 2015, they broke into an outbuilding at a property on Gainsborough Road. A total of 15 King Charles Spaniels were taken, including one which was pregnant. The offenders climbed over a fence, and entered an outbuilding in the garden of the premises, before removing the dogs. Officers connected a vehicle that was captured on CCTV in the area – a Black Astra – to Barry Darling. He was arrested, along with Bridget Darling on September 26, 2015, in West Yorkshire. The pair were bailed to allow for further enquiries to be conducted. As the investigation continued, officers connected more people involved in the incident. A warrant was conducted on Wroxham Avenue, Grimsby, and Barbara Petrie-Harrison was arrested. Later, her partner Craig Jackson was also arrested. Only one of the dogs has been recovered, found on the side of a motorway near Leeds in April 2017. It is believed to have been thrown from a moving vehicle, but is now safe and well and has been returned to its original owner. • Barry Darling (51), of Priestley Square, Birstall, Batley, pleaded guilty to handling stolen property, and was sentenced to 16 months (suspended for 18 months). • Bridget Darling (40), of Priestley Square, Birstall, Batley, pleaded guilty to handling stolen property, was sentenced to 12 months (suspended for 18 months). • Craig Jackson (42), of Dorset Crescent, Basingstoke, pleaded guilty to burglary other than dwelling, was sentenced to 16 months (suspended for 18 months). •Barbara Petrie-Harrison (45), of Dorset Crescent, Basingstoke, pleaded guilty to burglary other than dwelling, was sentenced to 16 months (suspended for 18 months). Detective Constable Steve Hatton said: “This was a crime which has left a lasting impact on the victim, having only being re-united with one of their dogs. “Not only did two of the offenders break into the victim’s property, they also took 15 of their dogs, all for their own financial gain. “These offenders clearly only showed interest in themselves and their own illegal gains. “This was an investigation which took time, using a variety of tactics and techniques working across different force areas. “I was determined to find who was behind this offence and hope that the victim can gain some closure on the matter now that the case has been finalised at Court.